The new 2018 Honda Amaze to feature improved premium interiors and a wider platform for more interior space. The 2018 Auto Expo starts tomorrow with launches from all the automakers present in India. We will bring you live coverage from the event so stay tuned for latest info. 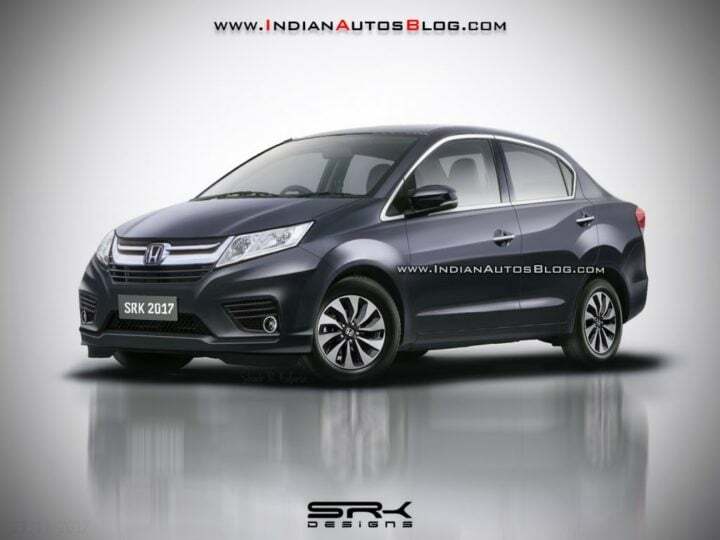 Honda Cars India Ltd is all set to take their fair share o the audience by showering in new products. The 2018 Honda Amaze is the latest product confirmed for the upcoming expo. The first generation Amaze came in much later than the Brio hatchback but the launch sequence will be reversed this year as the demand for the former is much higher. Based on the Brio, the Amaze is the compact sedan by Honda that competes with the likes of Maruti Suzuki Dzire, Ford Aspire, Hyundai Xcent amongst others. The upcoming 2018 Honda Amaze will be showcased at the 2018 Auto Expo. The launch of the new Amaze will take place in the months to follow. We expect the prices of the upcoming compact sedan to increase marginally as a part of an introductory offer with further increase in price once the offer is over. The all-new second-generation Amaze will carry revolutionary change on both the exterior as well as the interior. The upcoming sedan has grown wider as well to make more space for its passengers. Several reports claim that the new Amaze will offer premium interiors as compared to the outgoing model. The touchscreen infotainment system recently introduced in the Honda Amaze Pride Edition will be carried over to the new Amaze as well. The exterior now features sharp edges losing the curvy design of the outgoing model. Certain chrome elements like the front grille, fog lamp housing and window sills add to the premium image of the 2018 Honda Amaze. The upcoming 2018 Honda Amaze will be powered by the same engines from the outgoing model except for minor tuning in favour of fuel efficiency. The 1.2-litre petrol engine that churns out 88 PS of power and 109 Nm of torque will be offered with the 5-speed transmission. The same petrol engine will be offered with a CVT transmission as well as added power i.e. 90 PS and 110 Nm. The 1.5-litre i-Dtec diesel engine will be carried over as is. The upcoming compact sedan will be showcased at the 2018 Auto Expo. The 2018 Honda Amaze will compete with the likes of Maruti Suzuki Dzire, Ford Aspire, Hyundai Xcent amongst others.